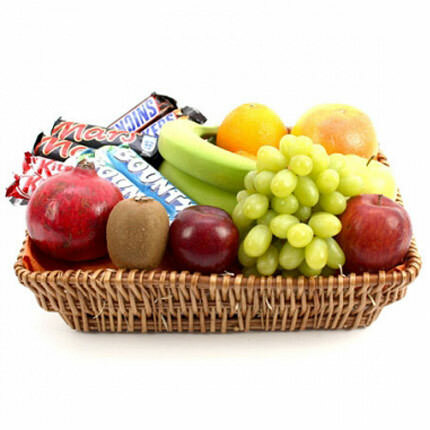 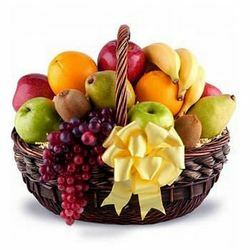 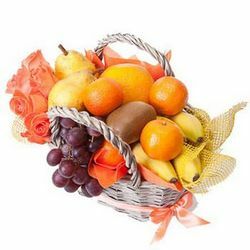 Beautiful basket of delicious fruits and sweets will be a wonderful addition to the bright summer flowers! 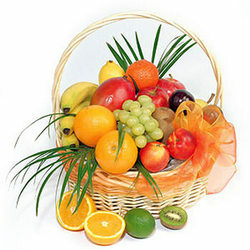 Weight: up to 3,5 kg. 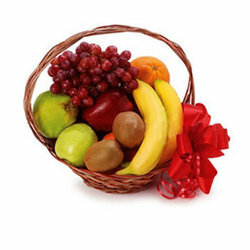 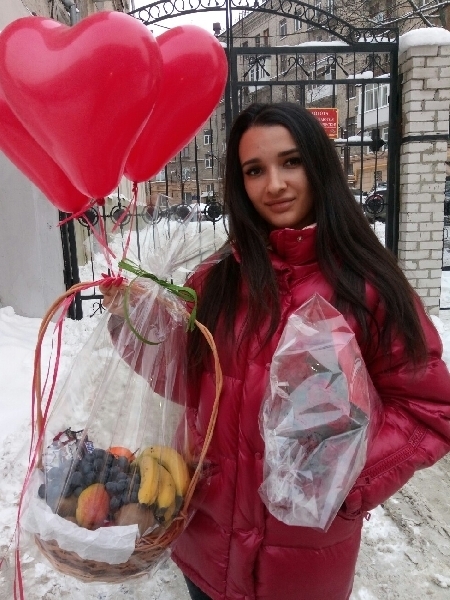 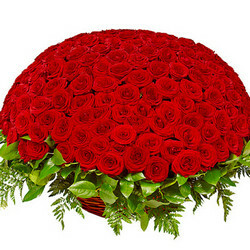 20032019 © Flowers.ua Fruit basket "Sweet Life"